The Holy See's Press Office announces that Pope Francis has accepted the resignation of three Chilean Bishops--two for reasons of having reached the age limit. Diocese of Osorno, Chile The Holy Father has accepted the resignation from the pastoral governance of the diocese of Osorno, Chile, presented by His Excellency Msgr. Juan Barros Madrid. The Holy Father has appointed as Apostolic Administrator sede vacante et ad nutum Sanctae Sedis of the same diocese of Osorno, Chile, His Excellency Msgr Jorge Enrique Concha Cayuqueo, O.F.M., Auxiliary Bishop of Santiago de Chile, Chile. The Holy Father has accepted the resignation from the pastoral governance of the diocese of Puerto Montt, Chile, presented by His Excellency Msgr. Cristián Caro Cordero, for reasons of having reached the age limit. The Holy Father has appointed as Apostolic Administrator sede vacante et ad nutum Sanctae Sedis of the same archdiocese, Puerto Montt, Chile, the Reverend Father Ricardo Basilio Morales Galindo, O. de M., Provincial of the Mercedarians in Chile. 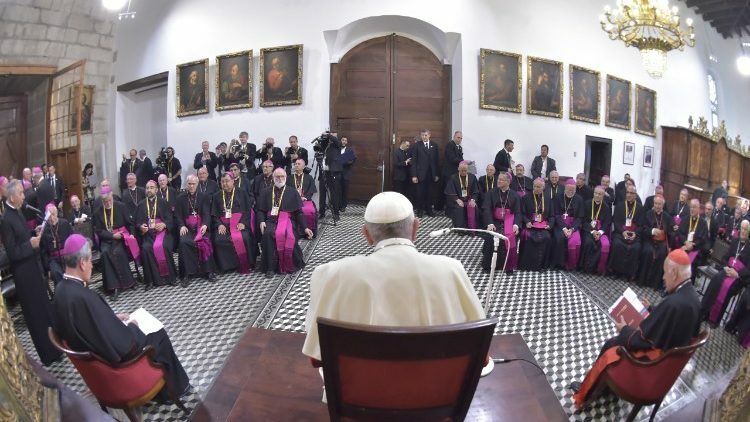 The Holy Father has accepted the resignation from the pastoral governance of the diocese of Valparaiso, Chile, presented by His Excellency Msgr. Gonzalo Duarte García De Cortázar, SS.CC., for reasons of having reached the age limit. The Holy Father has appointed as Apostolic Administrator sede vacante et ad nutum Sanctae Sedis of the same diocese, Valparaiso, Chile, the His Excellency Msgr. Pedro Mario Ossandón Buljevic, Auxiliary Bishop of Santiago de Chile, Chile.